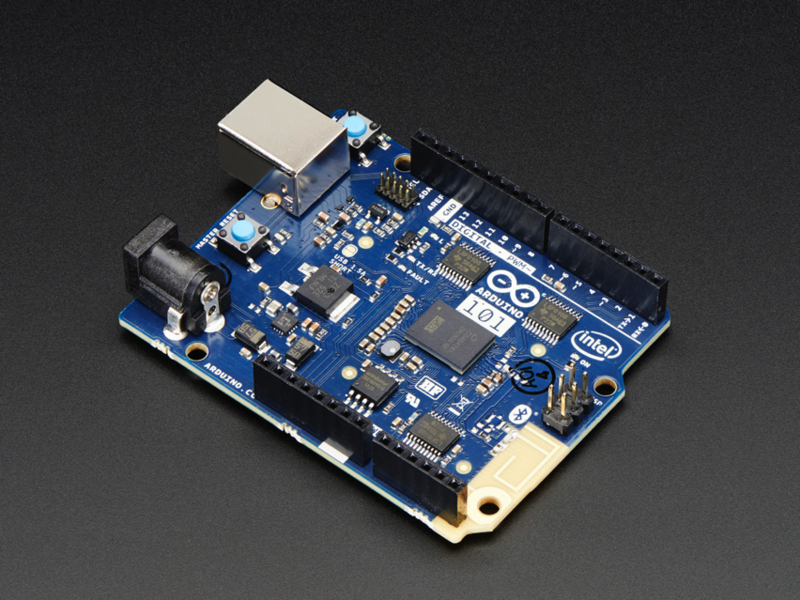 NEW PRODUCT – Arduino 101 with Intel Curie « Adafruit Industries – Makers, hackers, artists, designers and engineers! The Arduino 101 is simple. 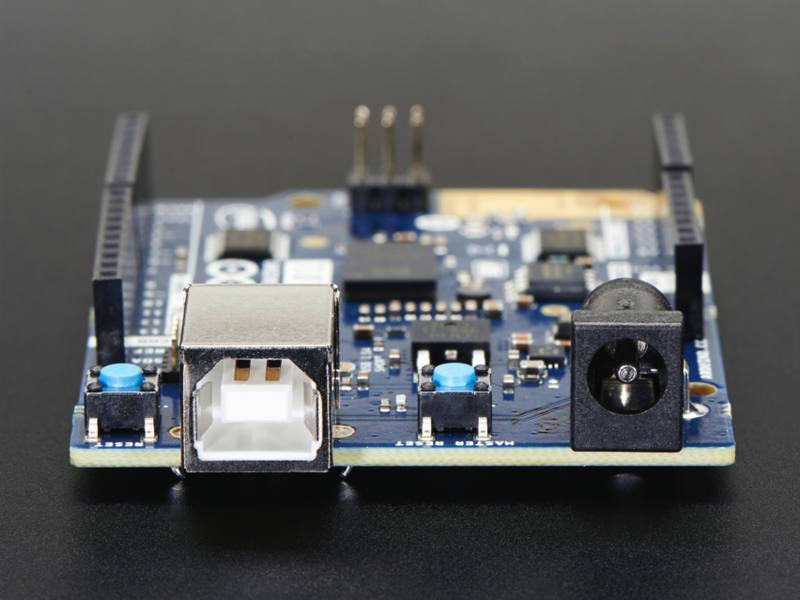 It’s a board that combines the universal appeak of Arduino with the latest technologies – like the Intel Curie module, Bluetooth LE capabilities, and a 6-axis accelerometer/gyro. 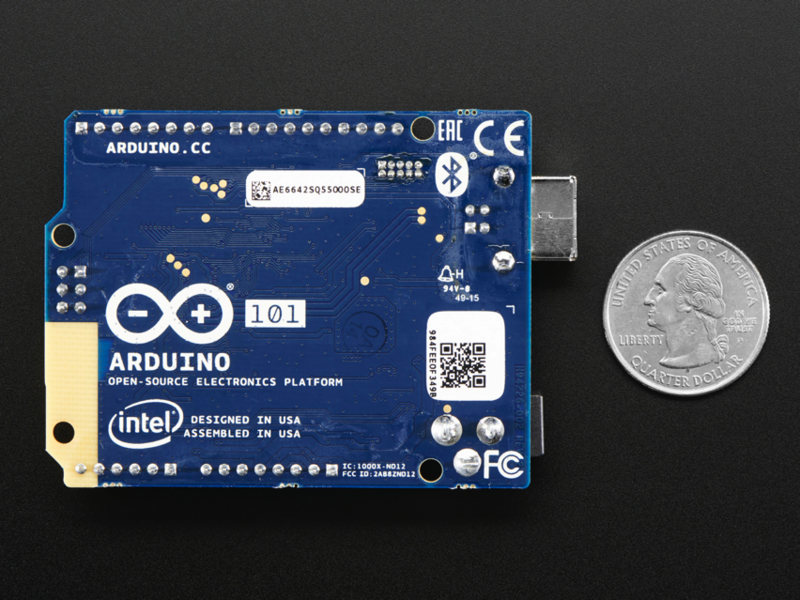 The Arduino 101 contains two tiny cores, an x86(Quark), and a 32-bit ARC architecture core, both clocked at 32MHz. The board also comes with 14 digital input/output pins (4 can be used as PWM outputs), 6 analog inputs, a USB connector for serial communication and sketch upload, a power jack, an ICSP header with SPI signals and 12C dedicated pins. The board’s operating volate and I/O is 3.3V but all pins are protected against 5V overvoltage. 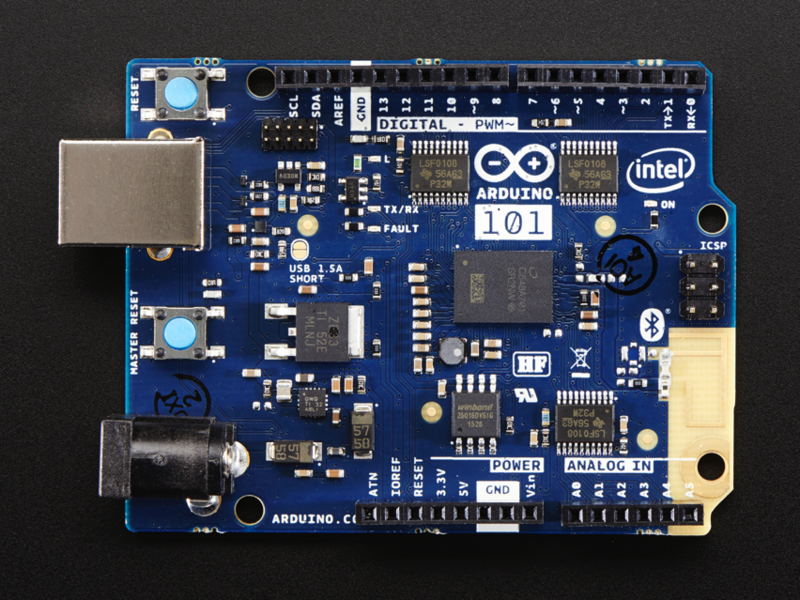 The Arduino 101 is very new, and uses a completely new core chipset! Many libraries won’t work with it, it’s currently recommended for makers & engineers who want to try out the latest and greatest! This product is USA only and is designed in collaboration with Intel. 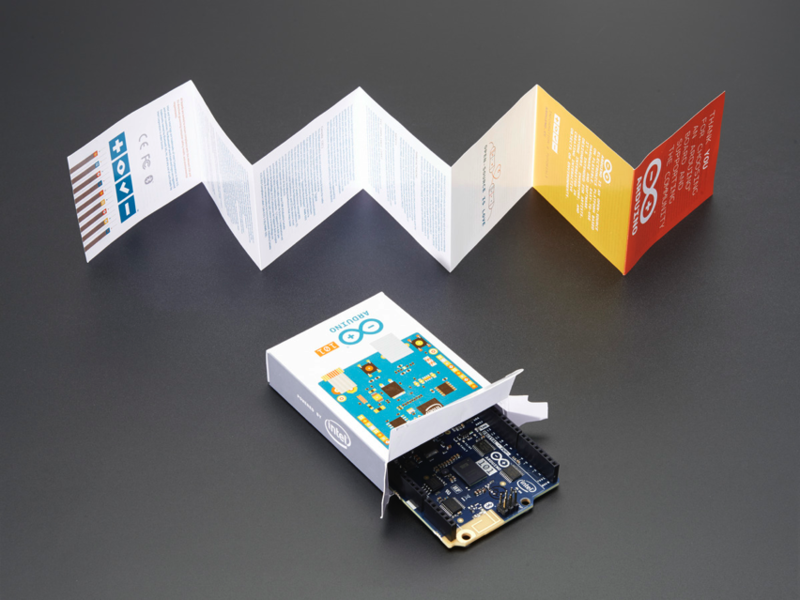 Check out Arduino’s Getting Started section more information on how to begin your journey with the Arduino 101!